Who loves this heat? Anyone with combining to do is loving the current highs, but remember, canola stored hot does increase the storage risk. Turn on those aeration fans. When to spray weeds? 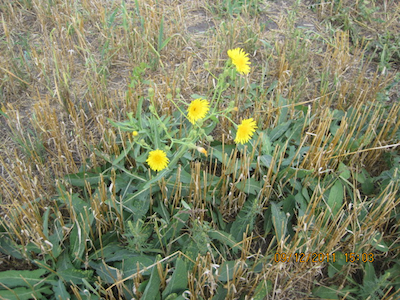 Wait for weeds to regrow after harvest. This provides a bigger target for herbicide. And know the weeds present. Perennials can be sprayed earlier than winter annuals. Why so green? 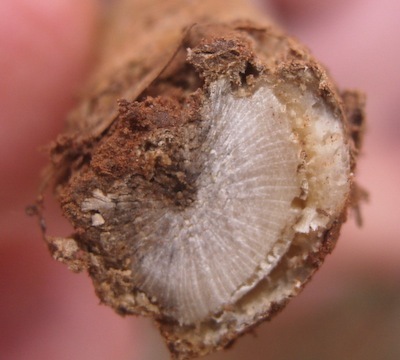 Some growers have found high green counts in their harvest samples. Warm weather, high moisture and time can help reduce green caused by rapid drydown. Nothing will help green locked by frost. How much seed? The approach to seeding rates can be much more refined that just 5 lb./ac. A harvest plant count, green assessment and attention to seed weight can help growers find the right seeding rate. This week’s map is an update of last week’s, showing highs for the past seven days. The Prairies have enjoyed a much needed hot stretch, with a lot of acres coming off. Thanks to WeatherFarm for the map. Click here to see the map at the WeatherFarm site. Our quiz this week is actually a short two-question survey to see if canola yields were as expected, and what you think were key factors that may have led to lower yields than in 2013 — if your yields were in fact lower. The 2014 Canola Discovery Forum is a golden opportunity for growers, industry, life science companies, equipment companies, seed companies and researchers to exchange key insights and leading-edge ideas for the sustainable and profitable production of canola. Discovery Forum will strengthen the canola industry through an integrated approach with increased partnerships along the canola value chain system. The two-day meeting is at TCU Place in Saskatoon, Saskatchewan October 22-23. 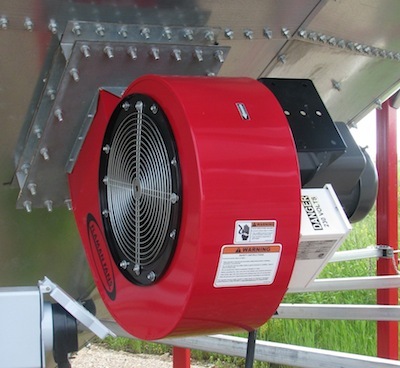 Canola storage experts recommend that hot canola be put on aeration for cooling, even if it’s dry. There will still be convection currents and some moisture movement within the bin, which can concentrate moisture at the bottom of the central core — creating a possible start point for heating. Aeration will also even out the temperature and moisture throughout the bin, preventing these hot spots from occurring. Green seed will be a downgrade factor on some fields this year. 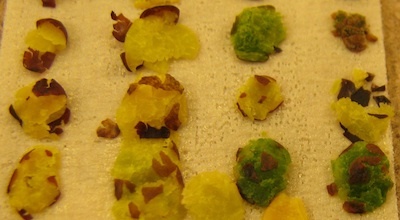 Those at highest risk tend to be later crops that still had a lot of immature seeds when cold frosts hit two weeks ago. Green that results from a killing frost is locked in, and will not clear no matter how long it cures. Rapid drydown due to hot weather can also result in high green seed. 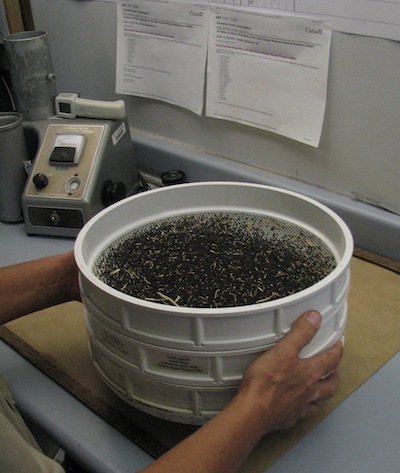 In this case, green-clearing enzymes can restart, but seed moisture has to get back up to 20%. This will require a few days of rain and humidity, and continued warm weather. How much seed will you need for 2015? Informed decisions have to start with plant counts. Counting stubble density in the fall can help growers determine if their spring seeding rate was adequate to reach the crop’s yield potential. We know, based on analysis of stand establishment research, that canola generally needs a bare minimum of 4-5 plants per square foot to reach its yield potential. Pre-swath or immediately post-swath are good times to check blackleg severity. Checking more than a week after swathing makes it more difficult to identify blackleg because other decomposers will start to work on the plant, often masking whatever blackleg symptoms may have been evident. 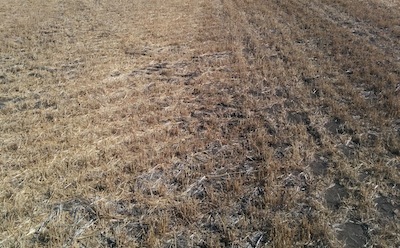 Cereal straw management is especially important on fields planned for canola next year, given the impact uneven residue can have on seed placement and seedling survival. Cutting as high as you can and making sure the combine spread width matches the header width are important steps at harvest. Have someone check the spread pattern behind the combine. Sometimes just adjusting the spreader vanes is enough to improve results.